In order to increase monetization per user, you must attract more users to buy your product or offer additional features for more money. Ask users what features they want in your product or service. Consider charging extra for these additional things. Make special plans or promotions for groups of users that don’t buy as much as regular users. These include educational workers, nonprofits, and students. Consider making a customization—analyze a user’s behavior and figure out what to recommend to him. By setting prices too low, you may undervalue the product, which means your users will think that it’s not very valuable. Setting them too high may result in fewer purchases. Ask your users what price would be not too high for them, and experiment with different options. Consider making your product free. 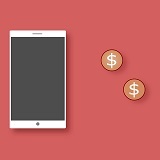 Monetize your users by giving them additional features or displaying ads.